Screenshot of Metro Exodus: Will there be a mass exodus from Steam? Valve’s Steam platform was a major game changer when it came to the digital distribution of games. For the last ten years, if a developer made a game for PC, chances are they would sell it on Steam, and Valve has reaped the benefits. In 2017—a year in which Valve did not release any games—the Steam store made $4.3 billion in revenue. This shows that even though it still makes money from popular classics like Counter-Strike, Half-Life, Team Fortress, and Dota 2, Valve could never even develop another video game and still remain one of the highest-earning companies in the industry simply by being the middleman between PC consumers and game developers/publishers. But that is starting to change. Of all the major PC games coming out in February, three of them will not be sold on Steam. Instead, they’re launching on other PC game stores. These aren’t small titles either. 4A Games’ Metro Exodus is releasing on the Epic Games Store, while BioWare’s Anthem is launching on EA’s Origin, and Sumo Digital’s Crackdown 3 is releasing on the Microsoft Windows Store. This is a trend that will continue throughout 2019. One of the major factors that has enticed developers away from Steam and over to the Epic Games Store is its revenue terms. Steam typically takes a 30% cut on each sale, whereas Epic only takes 12%. This makes Epic especially tempting to indie developers. 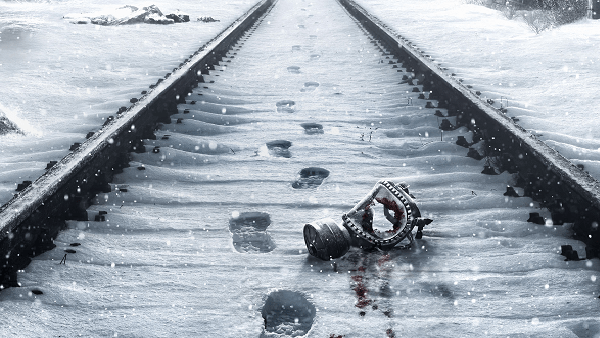 It appears that it also had a bearing on the decision to bring Metro Exodus exclusively to the Epic platform. Steam hasn’t been totally left out in the cold this month. The store is still getting Far Cry New Dawn, as well as Jump Force. However, it’s clear that the PC gaming market is evolving. Steam has held a fairly large monopoly on PC content delivery for the past decade. But now developer-friendly terms mean more competition for Valve, and the developers’ decision to create their own stores means more choice for consumers. Valve is already starting to feel the heat. At the end of last year, Steam announced that they would only take a 5-10% revenue share hit on games making $10-50 million or more. Of course, that just helps to placate big-budget developers that have the resources to launch their own store. Valve apparently sees no reason to give the same courtesy to small or just-launched indie companies barely staying afloat. How will this ultimately play out for consumers? Not to worry, competition is always a good thing. As Kundratitz suggested in his company’s press release, if game developers are getting a bigger cut of sales from Epic’s store, they could potentially lower the upfront price of the game by $5 or even $10. It would also lessen the financial burden on smaller indie developers and allow them the freedom to create another game or produce an expansion. Here’s a radical thought. Maybe Valve should follow the example of Netflix and start producing more original content to make up for all the major publishers moving to their own platforms. In fact, there is definitely one way Valve could ensure that the biggest game of the year – or even the decade – is only available on Steam: finish Half-Life 3!